"It's zero tolerance. I don't think you have to justify it," Bannon said on family separation. Donald Trump does not need to justify the policy of separating children from parents caught illegally crossing the US border as it is part of his administration’s “zero tolerance” approach on illegal immigration, former White House chief strategist Steve Bannon has said. The administration has undertaken a zero tolerance immigration policy, resulting in the separation of 1,995 children from parents facing criminal prosecution for unlawfully crossing the border over a six-week period that ended last month. The policy has provoked widespread criticism. “It’s zero tolerance. 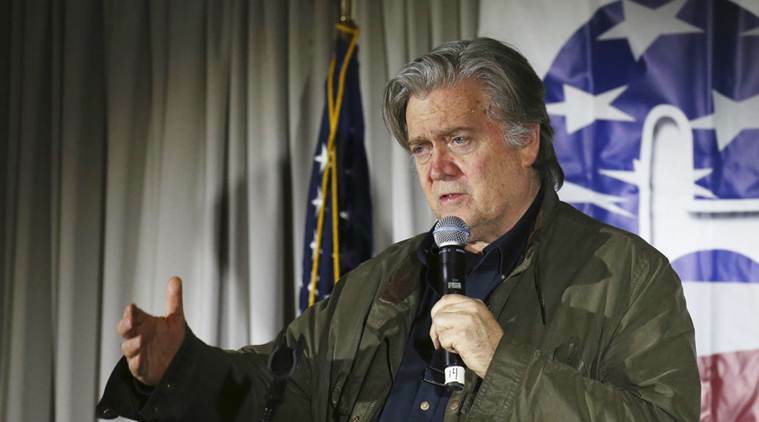 I don’t think you have to justify it,” Bannon said on family separation. “We have a crisis on the southern border. But the elites in this city, and this ties into Korea, ties into everything that took place this week, the elites, the permanent political class in this city want to manage situations to un — you know, to bad outcomes,” Bannon told ABC News. “Donald Trump is not going to do that. He’s just not going to kick the can down the road, whether that is China, whether it’s tariffs, whether it’s Korea, whether it’s the southern border,” he said. A wall on the border, he said, will help eliminate the problem. “Give me a border wall for security, OK? Give me border wall security. We won’t have this problem. He has a zero-tolerance situation. He has drawn a line in the sand. I don’t think he’s going to back off from it,” he said. “I don’t see the mainstream media, and I don’t see the liberal left embracing the Angel Moms, those people that were permanently separated from their children because of illegal aliens that came over here and committed crimes and killed people,” he said in response to a question. “The morality is the law. They’re criminals when they come across. Illegally. That’s why they’re getting separated. If they’re calling asylum, they’re still going to the detention centers although the detention centers are now full. That’s the Obama policy, right, from 2014,” he said. Bannon said Trump is put in a terrible situation because people in capital beltway do not wanted to address this. “Donald Trump has gone against his base more than any president to show a profile of courage and say hey, look, we’ve got to try to work this out,” he said. Responding to questions, Trump said the president is trying to show leadership. “The president is trying to show he’s president for the entire country,” he said. “I think that any pathway to citizenship for DACA is unacceptable. I believe when you look at the four pillars that President Trump I think has very magnanimously laid out, I don’t think the four pillars are included here,” he asserted. “We don’t want to continue to have the pressure of unskilled labour in this country that destroys the black and Hispanic working class. Once we get those wages up in agriculture and construction and oil field services, then we can think maybe of a guest worker program,” he asserted.